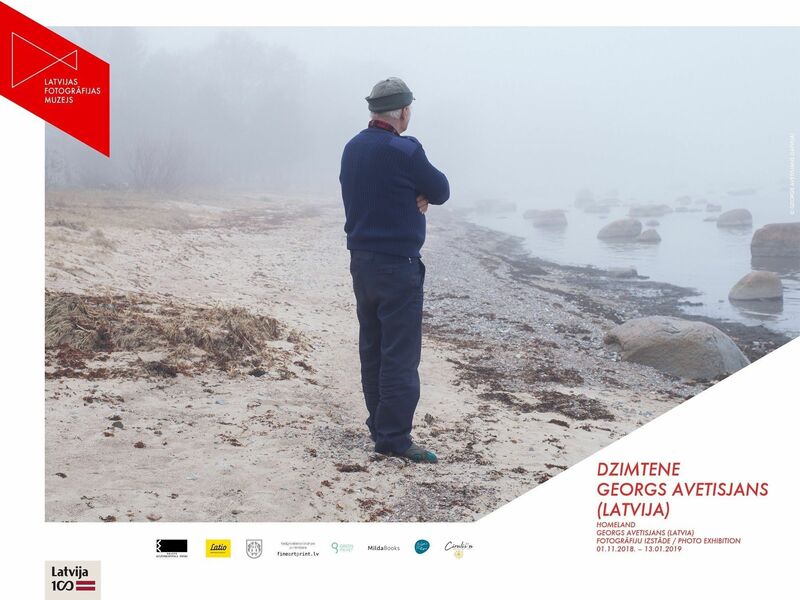 The exhibition “Homeland” featuring works by Latvian photographer Georgs Avetisjans will be on view from November 1 at the Latvian Museum of Photography. Using the geographically longest coastal village in the country as a metaphor, “Homeland” is a constructed and multi-layered story of the birthplace of a human being, memories and the journey of a life. Dedicated to Latvia’s State Centenary this is the story of a land and human connection with it; information preserved by the land over the years reveals the past, present and future, and is a reflection on how time affects and changes our sense of a place. The story also encourages a critical look at contemporary issues – the visual narrative of life outside the city acts as a signal for dialogue on modernity and the political and economic processes affecting the emigration of the younger generations. In terms of geography, the project also serves as documentary evidence of the longest village in the country – Kaltene – through photography, recorded memories and interviews in two languages (Latvian and English) reflecting national identity, history and memory, as well as people’s relationship with their environment and their emotional connection to the sea, forest and stones. The story is not just about a specific homeland – Kaltene, where the author was born, but also about our nation as a whole – its values, rituals and traditions. The exhibition and book opening will take place on November 1, 2018 at 5 p.m. at the Latvian Museum of Photography. We would like to express our gratitude to State Culture Capital Foundation, LATIO, Roja County Municipality, Fineartprint.lv, Milda Books, Cīrulīšu mājas vīns, Green Print and design agency “Pieci Ezeri”.